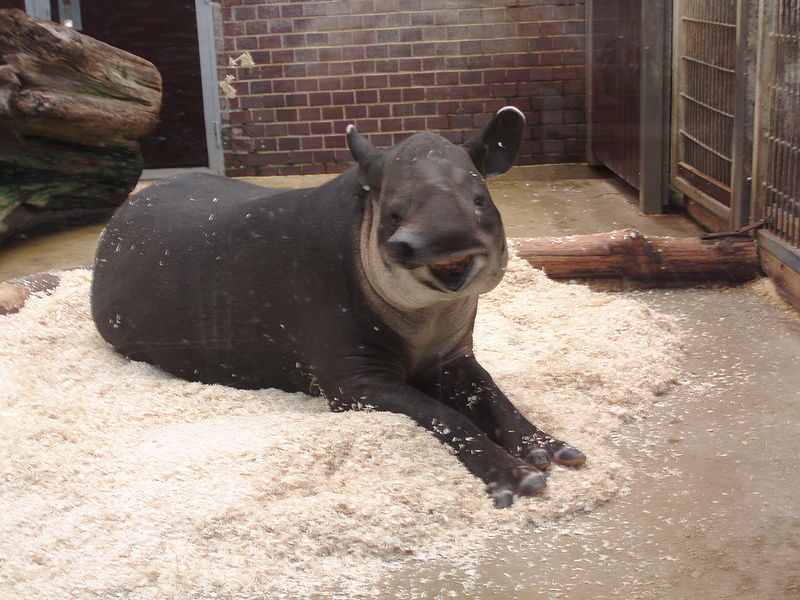 History: Toby is a male Central American tapir (Tapirus bairdii) specimen of age 5. He was found in front of the office of Head Researcher ████████. The identity of the person who delivered the package is yet to be revealed, since all security cameras not located in containment areas were undergoing maintenance during his arrival. When I arrived to my office this morning, I noticed that someone dropped a cage with a tapir right in front of the door. To clarify, when I requested mammals for a series of experiments with SCP-████, I had lab rats and apes in mind. Seriously, who ordered the tapir? Where did you even order one? Due to popular request from Site-66 staff, Head Researcher ████████ rescinded the termination order, and awarded the title of the Site Mascot to the tapir (who was given the name Toby by Assistant Researcher ██████). An unused room next to the cafeteria was converted to accommodate him. All staff members are allowed to visit Toby during breaks or after work hours.